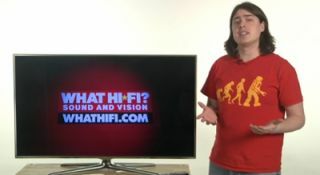 Freeview HD TV/set-top box sales top three million | What Hi-Fi? More than three million Freeview HD TVs and set-top boxes have been sold since Freeview HD was launched in March 2010, according to trade website ERTonline. The vast majority (90%) of Freeview HD devices sold were TV sets. Around 18 million UK homes now have Freeview, and of those 1.75 million are connected to the Freeview HD service. There are currently four HD channels on Freeview HD: BBC One HD, the BBC HD Channel, ITV1 HD and Channel 4 HD – with a fifth channel due to launch in April 2012. “We’re seeing a shift in what viewers want from their TV provider,” says Freeview managing director Ilse Howling. “The ability to access high definition has become something people expect as normal when buying a new television."